Maria Langer has written over 60 Technical books, and is a leading authority on Microsoft Office. One of the world's most prolific technical author's, Maria brings a long history of educating to her macProVideo.com tutorials. At macProVideo.com, we hire only the best educators in the world. 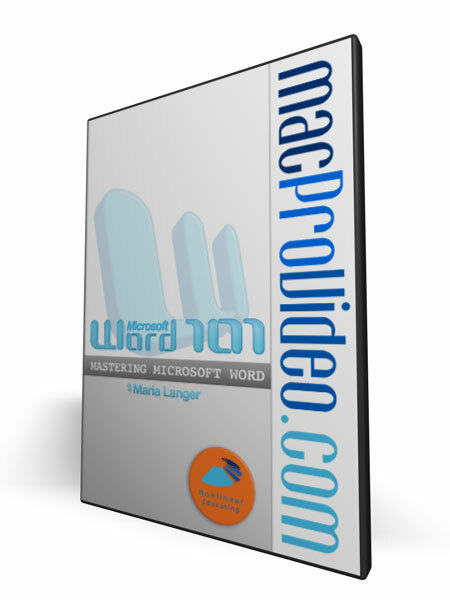 Consequently, when it came time for macProVideo.com to expand into Microsoft Office tutorials, only one name popped to mind: Maria Langer! I've been reading her books for years, and we share the same publisher (Peachpit Press), so I had little doubt that Maria was the perfect trainer for this job. As a technical author myself, I am in awe of the credentials that Maria brings to the table. With over 60 books to her credit, Maria's experience and understanding of Microsoft Office is unparalleled. Maria is certainly one of the most prolific authors in the history of technical writing. It is not uncommon for her to write 10 books a year, and she often contributes articles and reviews to computer magazines and professional journals, including Informit.com, FileMaker Pro Advisor, Mac Addict, Mac Design (formerly Mac Today), NetProfessional, Computer User, MacWEEK (now published online only), MacUser (now part of Macworld), and BBS (no longer published). She is also a Contributing Editor for FileMaker Advisor. If that isn't enough, Maria also develops Web sites and pages for small and medium sized organizations. Her current pet project, a "labor of love," is wickenburg-az.com, a Web site that provides up-to-date information about her adopted home town of Wickenburg, AZ. She is also Webmaster for Flying M Air, LLC, Chrome Caballeros, Coldwell Banker Generations, KBSZ-AM, and N&W Associates. Oh, and I forgot to mention, Maria is also a helicopter pilot! 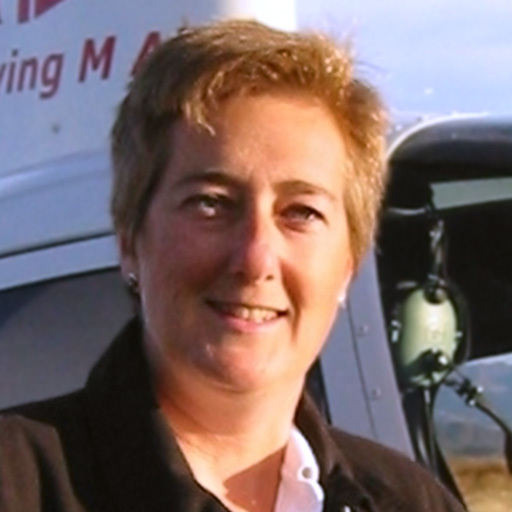 She owns and operates Flying M Air, LLC, which offers helicopter rides, tours, charters, and air taxi services throughout Arizona. Wow! Maria is a busy, talented woman, and we are extremely pleased to list her as a trainer here, at macProVideo.com! At first this course looked kind of dull but then I found myself sitting thru almost the entire course in one sitting. I have learned so many new tricks with Word because of this course. As a user of Word for many years, I found this course to be an excellent review of the many fundamentals of this program- a great way to get back to the basics. There were many tips, which somehow I had not learned about in the past. I especially appreciated the presentation of Mac oriented menus and other command options. I would have liked coverage related to pictures, graphics, drawing, page numbering and date options, but think that that similar items may be more appropriately covered in a future more advanced course. Thank goodness for your videos - I used other word processor programs over the years and had to learn this one. Your video saved me much time looking about for the functions I needed immediately, and to get up to speed a.s.a.p. I am pleased that your company fills in "The learning gap" and at an affordable price as well. Pretty good. Learned some tips I wasn't aware of. Well thought out and good presentation. Overall though... not advanced enough. Too much simple information such as "how to cut and paste" or how to select a word using the cursor. I find myself skipping entire sections because it's stuff you learn as a beginner when you first got a computer. Video was very old... covered MSWord 2004 when I'm using Office 2008. Easy to follow, well organised - as always. Thanks! I just started viewing my word 101 course and so far it is definitely the best online course that I have used. The only visual tutorial for Mac-word I could find. Clear explanation and visualisation. Good tempo to understand (even for Dutch speaking people). We miss some useful issues e.g. : inserting pictures and charts, working with heathers and footers, working with index and tables. Some interactivity (exercises) would be nice and helpful. It was nowhere clear what version of word this is and I actually wanted the ltest version (surprise) disappointed.